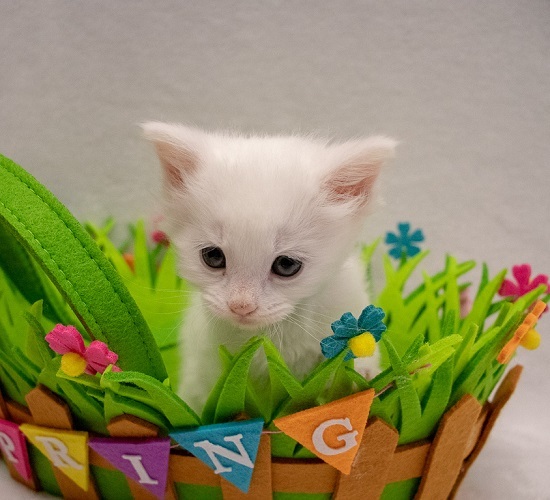 'BLANCA THEMED KITTEN: 6-8 weeks old Mostly Mutts adoption center is open Mon-Sat. 11-4pm. Some of us are in foster homes so please call 770-272-6888 1st to find out if I’m available to meet during the week. Hi, my name is Alabaster! 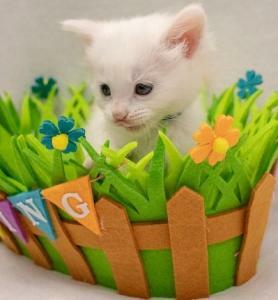 My siblings and I were born into the Mostly Mutts program, have grown into fun and adorable kittens, and are ready to find our furever homes. I am a mischievous little fluff ball who plays hard but also loves cuddles and tummy rubs. My climbing skills are among the best, so it would be great to have a kitty tower in my new home! Come meet me and see how fun I am for yourself! 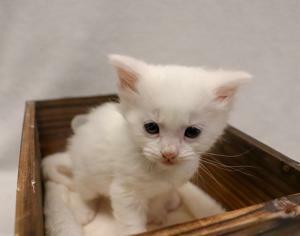 I’ve started my kitten shots, but you must finish those for me as I grow, I’m microchipped, combo tested negative and I will come with an engraved name tag. I'm not yet neutered due to my small size, but it is required and will be done as soon as I grow a little more. Mostly Mutts will cover that cost with one of their vets, so local adoptions only, please. Gentle children only as I'm very small. 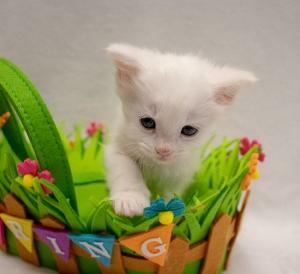 My Adoption fee is $175.00. You can adopt me through the Mostly Mutts shelter after you have an approved application.